For years now, contact lenses have been used to correct vision as well as enhance the beauty of one’s eyes. However, if Google has its way, these lenses could do more than just that in the near future. 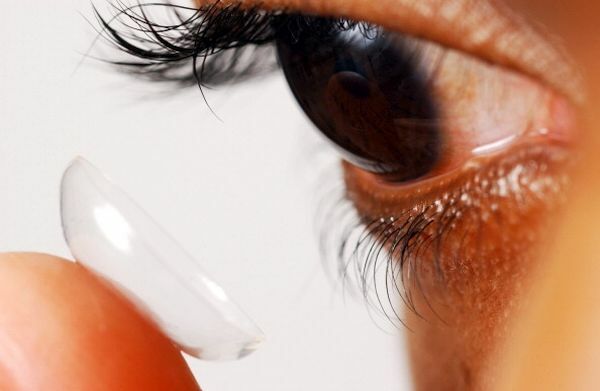 Google is all set to start work on its futuristic smart contact lenses that will be solar powered and come with a whole range of additional functions other than vision correction. Google recently received the patent for a smart contact lens that will be solar powered. Google had in fact, announced plans for the smart contact lens way back in 2014 itself. The tech giant had revealed that it was in the process of creating lens that will come with solar cells to harvest light for power. According to the company, these smart lenses will also come with photo detector sensors that will aid in detecting and recording biological data related to the wearer. The solar powered smart contact lenses by Google will feature sensors that can detect and record the wearer’s biological data. Accordingly, the sensors can measure blood glucose levels, blood alcohol content and even the internal body temperature. Google predicts that the smart contact lenses will also feature senses that can collect information about the wearer’s environment as well. This information will then be used to sense and give alerts about possible allergens like pollen, grass, dust mites and even pet dander in the nearby vicinity. This can be considered as a breakthrough in combatting life threatening allergies caused by these allergens. The photo sensors available in the smart contact lenses will not only be able to record biological data. They will also be able to send this information to nearby computers, tablets and mobiles. This, in turn, will help individuals with chronic conditions like diabetes and blood pressure monitor and maintain their health in a better manner. Google has also predicted more uses for the smart contact lenses. According to the company, the lenses may also come with the ability to allow the wearer to read the information shown in barcodes. The lenses may also come with a retinal scan and analysis feature to verify the wearer’s identity during an authentication request. Google has announced plans of creating a solar powered smart contact lens that will offer more functions than just vision correction. The tech giant recently received a patent for the same, and has started development of these solar powered lenses.